Many people feel guilty after eating a piece of chocolate. If you choose chocolate that is of good quality, chocolate can be very healthy, and you do not need to feel guilty. How do you recognise good chocolate? Cocoa beans in black chocolate are of vegetable origin. In the plant world, usually the darker the colour is, the more antioxidants it contains. Antioxidants prevent the harmful effects of oxygen on our cells and keep us young. We call the antioxidants in plants flavonoids. There are more than 1200 active substances in chocolate, and one of them is theobromine. Theobromine is Latin for “the bread of the gods”. It works actively on your feeling and improves circulation. Theobromine can be fatal for our pets, so do not give your cat or dog chocolate. Theobromine is not the only one in chocolate that improves circulation. Chocolate is also rich in magnesium. Magnesium is a shortage in the Netherlands, and this miracle mineral provides relaxation and vasodilation. 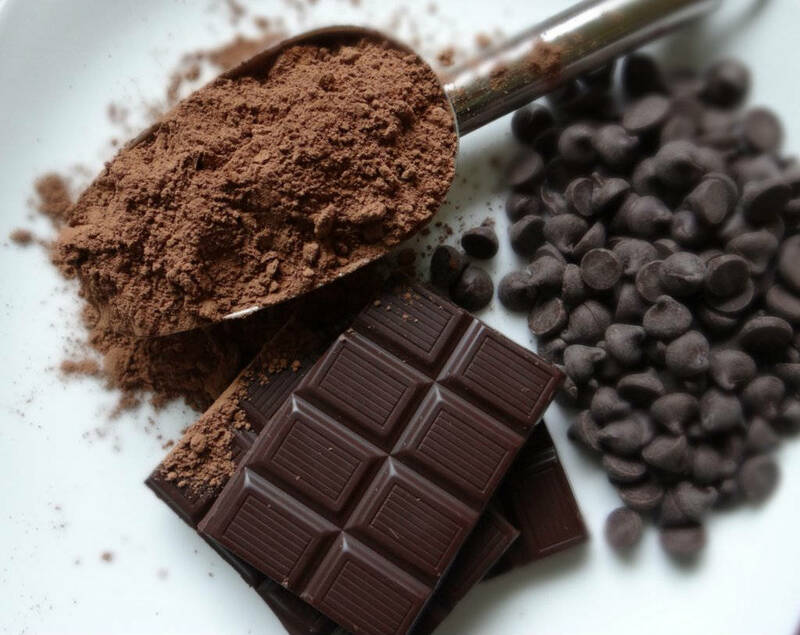 Due to the vasodilating effects of magnesium, chocolate can significantly lower blood pressure. Chocolate also has an LDL cholesterol-lowering effect. The oldest woman in the world officially registered, Jeanne-Louise Calment from France, ate 1 kilo of chocolate per week until her death. Would that be the reason she was 122 years old? It is often said that chocolate is fat and unhealthy. That’s right, but then we are talking about the cheap milk chocolate that is prepared with bad fats and milk powder. These cheap bars are a driver of pimples. Good chocolate bars with 70% or more cocoa, contain only healthy fatty acids: 33% oleic acid, 33% stearic acid and 33% palmitic acid. Dark chocolate has a good influence on the endorphins in the brain, making it robust against sad feelings. This chocolate is also always called bitter chocolate because cocoa is slightly bitter. Women often love chocolate because it temporarily replenishes the chemicals in the brain, neurotransmitters. Under the influence of the hormonal cycle, the amount of dopamine can be temporarily reduced, something that can correct chocolate. If you overeat chocolate at once, you may experience a “rebound” effect: a backlash that makes you feel worse when the chocolate has been worked out that you thought for consuming it. Always choose a chocolate bar where the first-mentioned ingredient on the packaging is not sugar. At cheap bars, the bar will mainly consist of sugar, and you can better leave it on the shelves. There is also raw chocolate, usually called Raw Chocolate. This has not been heated. It is good not to overeat chocolate so that your body can benefit from the benefits and at the same time can deal with the disadvantages of chocolate.